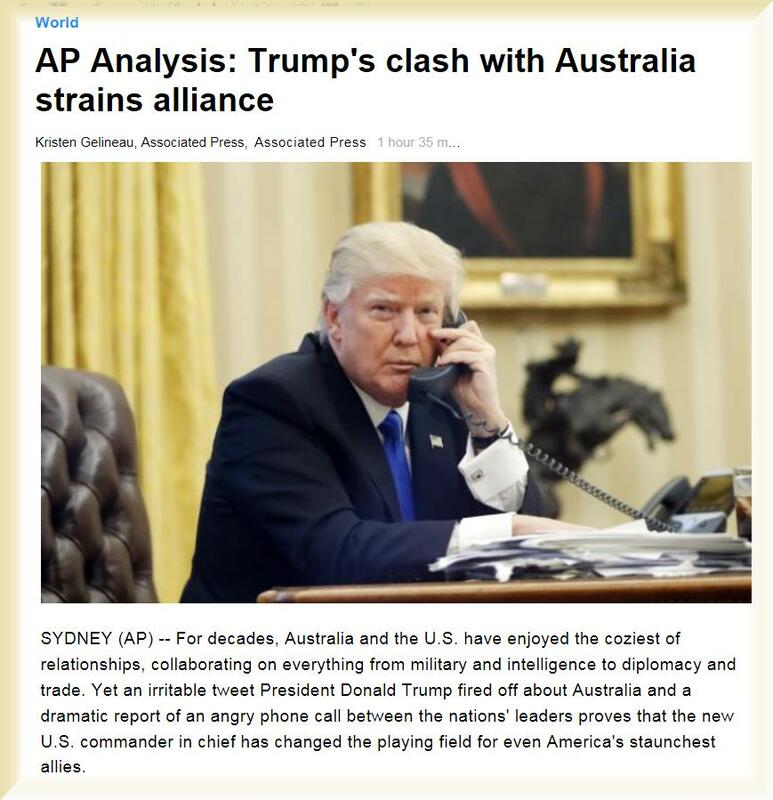 Excerpt: Prime Minister Malcolm Turnbull was left scrambling to defend his country's allegiance to the U.S. after The Washington Post published a report on Thursday detailing a tense exchange that allegedly took place during the Australian leader's first telephone call with Trump since he became president. During the call, the Post reported, Trump ranted about an agreement struck with the Obama administration that would allow a group of mostly Muslim refugees rejected by Australia to be resettled in the United States. The newspaper said Trump dubbed it "the worst deal ever" and accused Turnbull of seeking to export the "next Boston bombers"  a reference to Tamerlan and Dzhokhar Tsarnaev, U.S. citizens born in Kyrgyzstan who set off explosives at the 2013 Boston marathon. Though Turnbull declined to confirm the report, he also didn't deny it, apart from rejecting one detail  that Trump had hung up on him. The prime minister insisted his country's relationship with the U.S. remained strong, and that the refugee deal with the U.S. was still on. Australia is a country and continent surrounded by the Indian and Pacific oceans. Its major cities  Sydney, Brisbane, Melbourne, Perth, Adelaide  are coastal. Its capital, Canberra, is inland. The country is known for its Sydney Opera House, the Great Barrier Reef, a vast interior desert wilderness called the Outback, and unique animal species like kangaroos and duck-billed platypuses.